So what's with all these 20-somethings that sound like the Beatles or Bob Dylan? A veritable renaissance among the younguns. 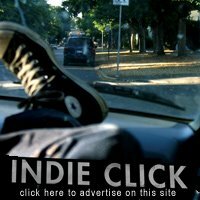 I am enjoying the resurgence of older sounds in the new bands of today (The Redwalls, Nic Armstrong, etc) because good music never goes out of style, does it? Their sound is nostalgic & rocking -- not simply a rehashing of those old sounds, but a fresh spin that combines the best of late-era Beatles and Johnny Cash with some Americana/alt-country spice and bluesy pathos. The ragged vocals of lead singer Erick Jordan crack beautifully in all the right places, lending this nice 'lil collection of songs a Lennonesque, burnished feel that belies the modern age. They have several shows coming up in the NJ/NY/PA region, and hopefully a larger tour is in the works for later this year. If this is just a taste of what these boys are capable of, I think we should all stay tuned to hear a lot more buzz about them when they drop a full-length album. Airtight listening. They so work for me! Like channeling John Lennon & Elliot Smith, with some good Neil Young tossed in. Just wanted to say that I really like your blog...I've been reading it consistently for a few months now!! 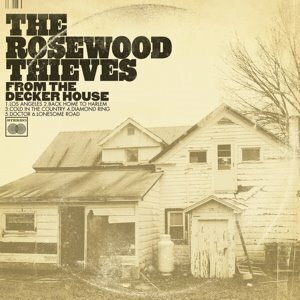 Also, wanted to let you know that I have the Rosewood Thieves KEXP radio session MP3’s up on my music blog, “Doctor Mooney’s 115th Dream.” (http://doctormooney.blogspot.com) They played five songs and did an interview! The posting is from November 7, 2006, so you’ll have to scroll down a bit…check it out when you have the time. Hey, did you know that Fuel/Friends has moved? Come join us over at fuelfriendsblog.com! It's so pretty over there.